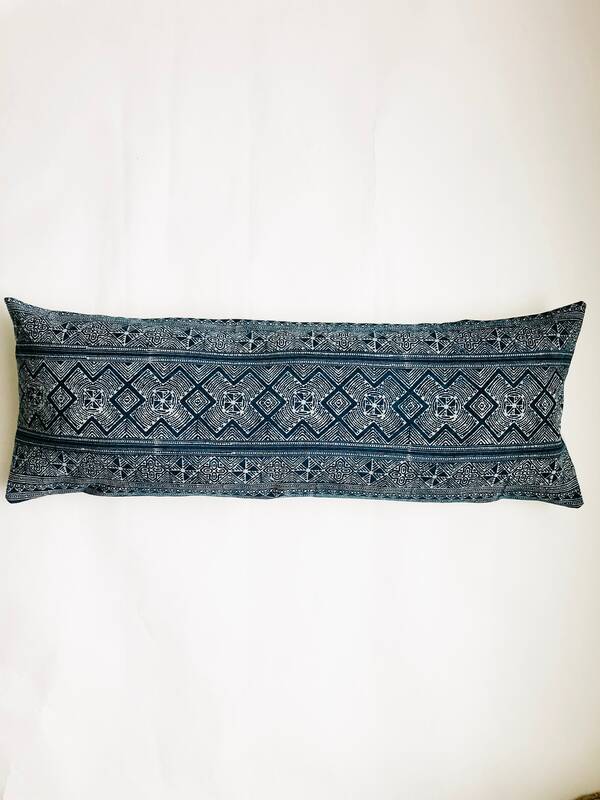 -Made by the Hmong hill tribe located in regions of China, Vietnam, Laos, and Thailand. -Made to fit a 14" x 36" insert. 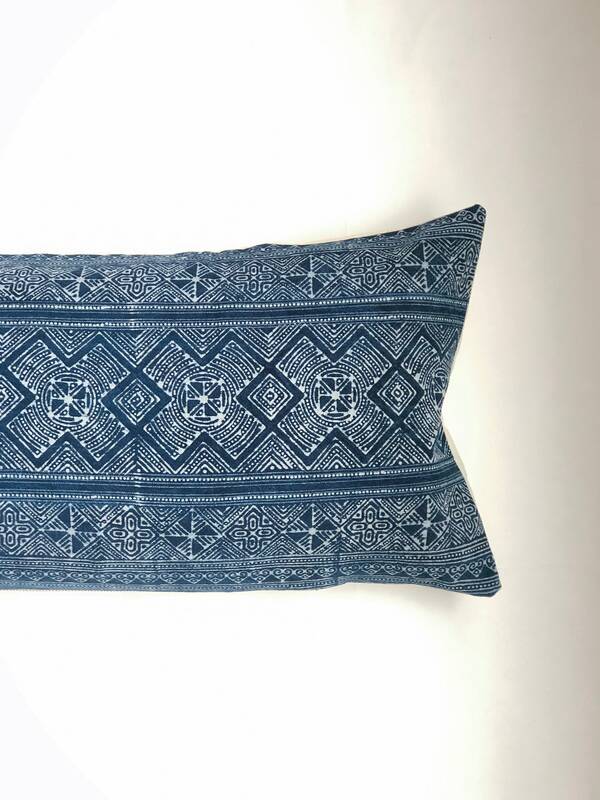 We love the vintage nature of our pillows! 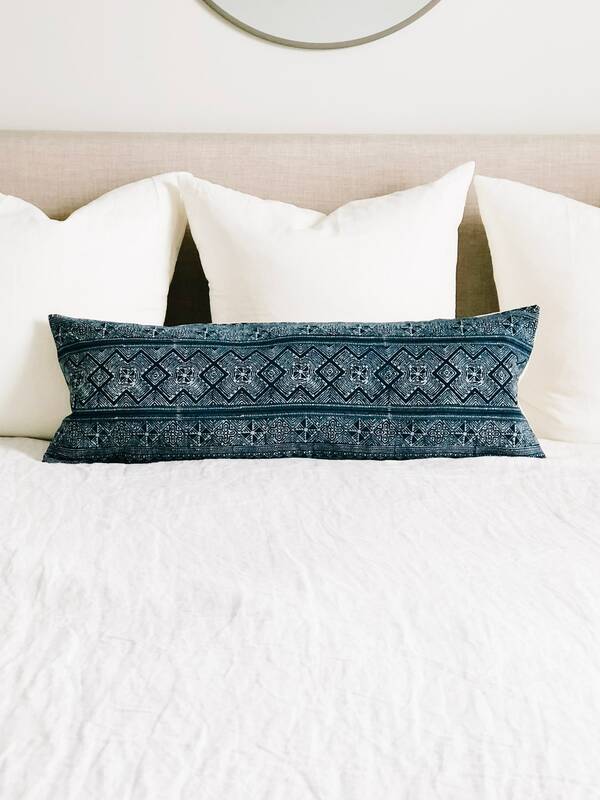 Because of this, fabric and size may vary slightly, as well as contain minor imperfections. Dry clean and handle with care.